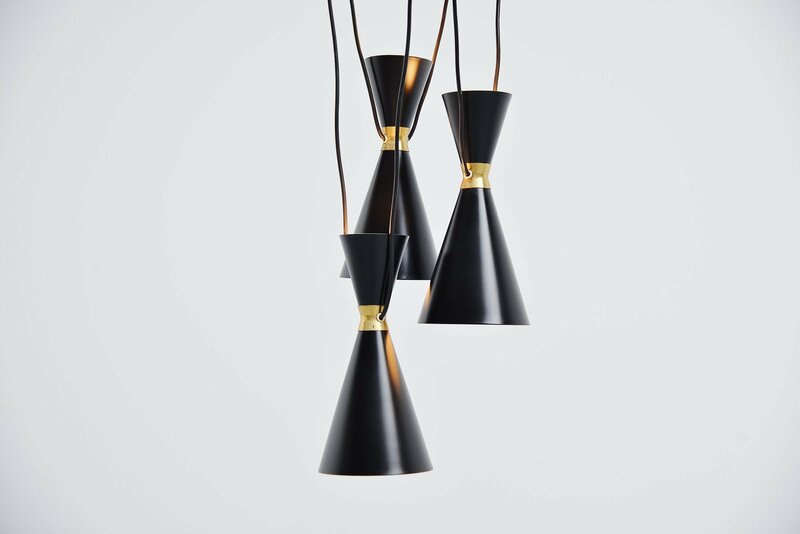 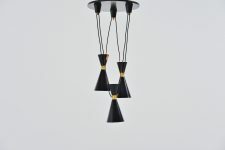 Very nice spectacular 3 shades chandelier by Stilnovo, Italy 1950. 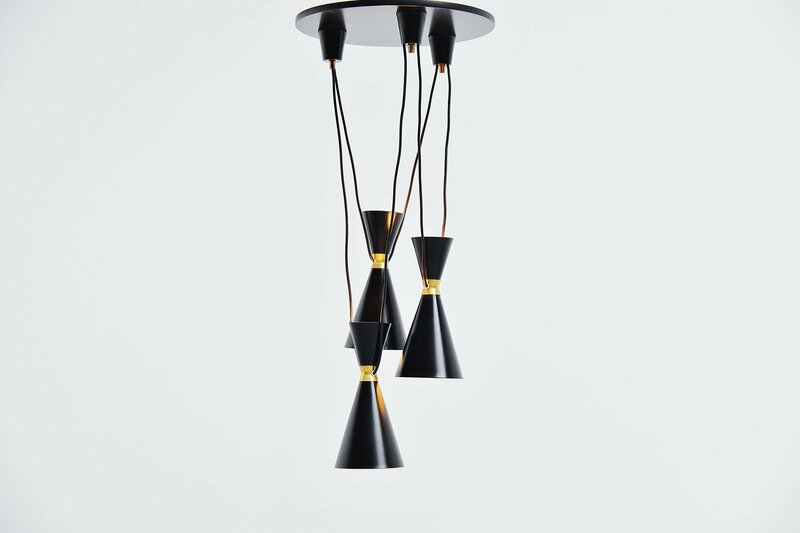 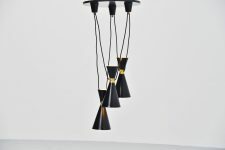 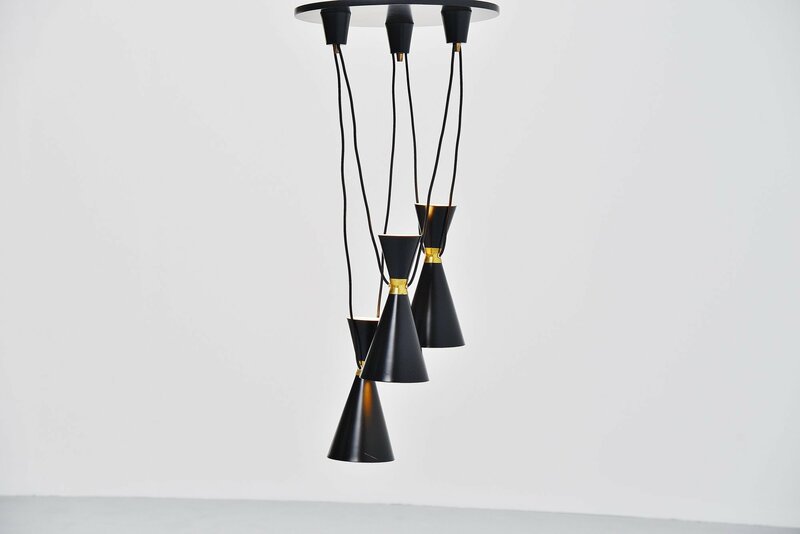 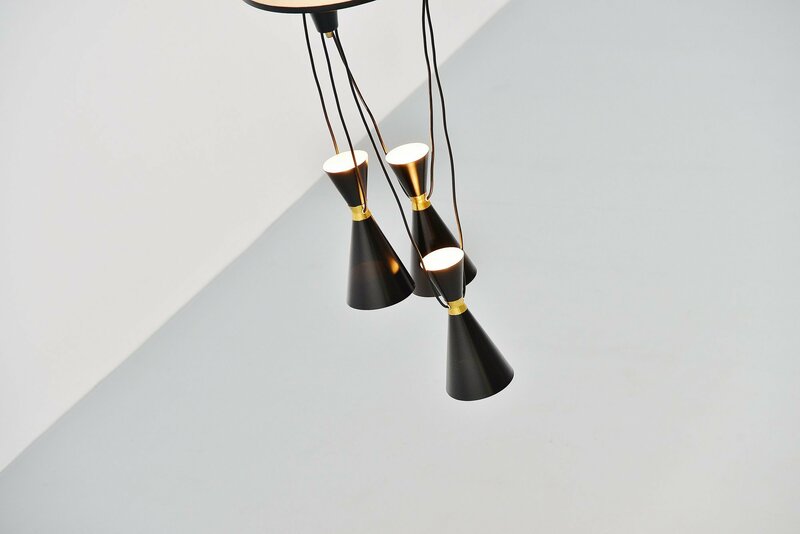 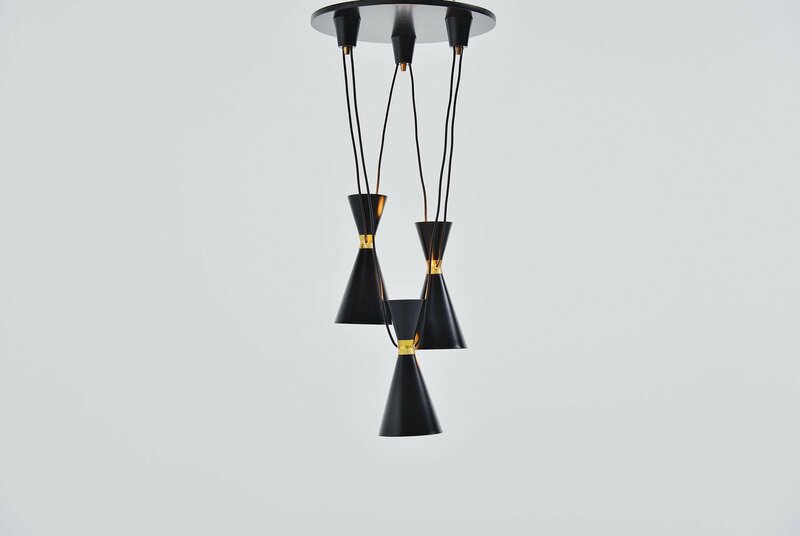 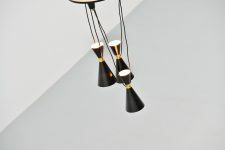 This chandelier has 3 diabolo shaped shades. 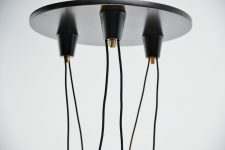 There are 2 sockets per shade so the lamp lits up and down. The round black ceiling plate is not included with this lamp, the canopies should be fixed directly to the ceiling and is much nicer too this was just used for the pictures. 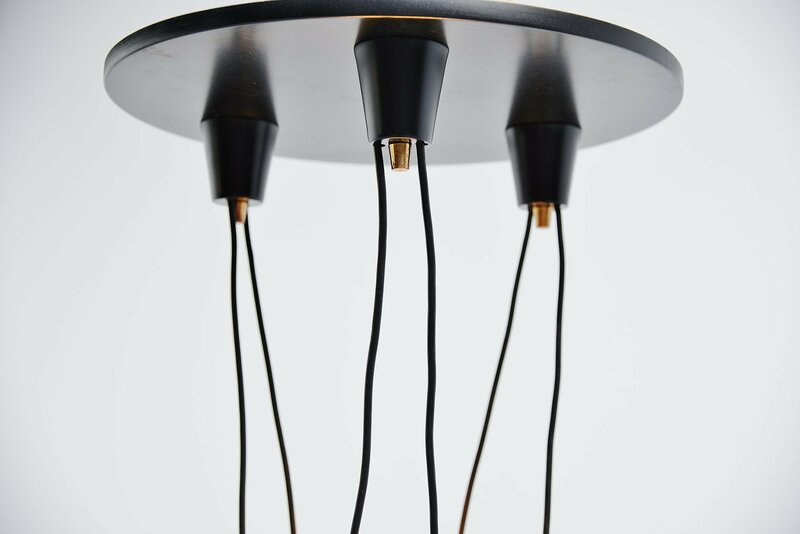 If wanted you can buy the black ceiling plate extra with the lamp. 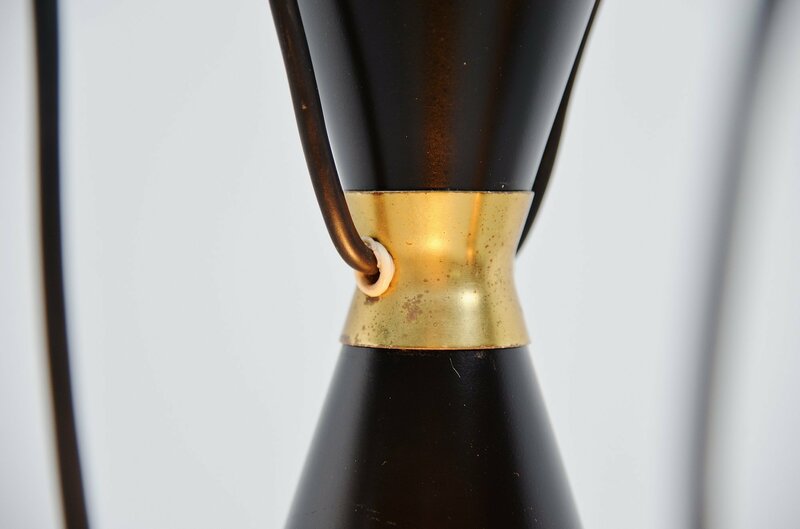 The shades are newly refinished in the original black color and look perfect again. Nice in contrast with the brass details. The lamps use 3x E14 lamps and 3x A27 lamps up to 25 watt each. 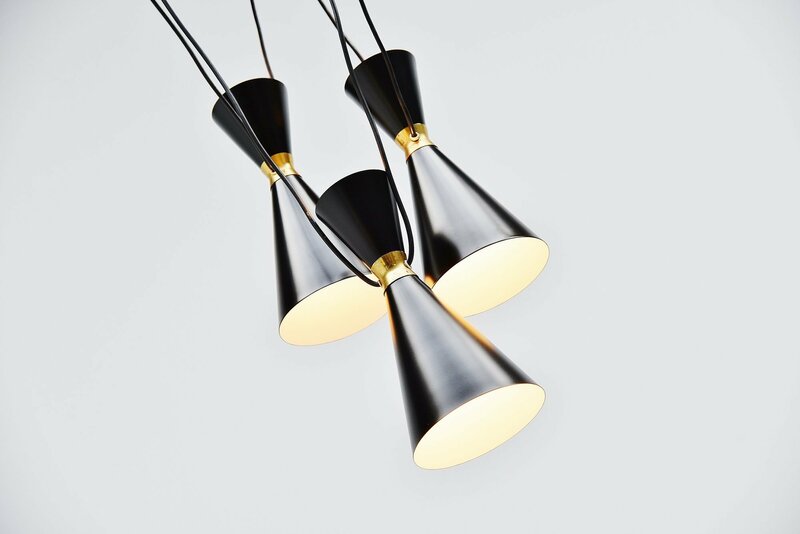 Gives very nice and warm light when lit, up and down.